Each florist in his work always uses the main law of floristic art - any bouquet should be packaged properly . Only correctly selected packaging allows the bouquet to produce a proper impression and become a central element in any celebration. Flordel's florists know how to make your bouquet even more original and interesting. In the process of our work, we use only high-quality and modern types of packaging and decorative elements. 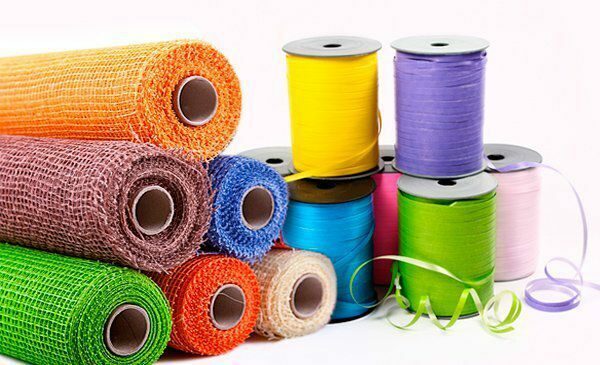 The most popular types of packaging of bouquets are: natural sisal cloth, mesh, felt, organza, corrugated paper, kraft paper. Any of these types of packaging can be used alone or in combination with others. Also decorative accessories are very popular: ladybugs, birds, feathers, rattan balls, decorative ribbons. With our help, your bouquet will be the most stylish!